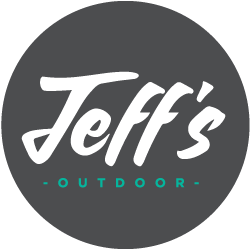 At Jeff's Outdoor, one of our core values is appreciation for the outdoors. People are healthier and happier when they are outside. This month, we introduce you to our office administrator, Melanie Morris, a perfect example of someone who appreciates the outdoors - even if she is the one person who's stuck in the office most of the time. In this post, Melanie shares the 10 things that she most enjoys about her own yard. She also shares some amazing photos. When spring plant's “little heads” break ground reaching for the sunlight. Colour: I love to see colour, whether it is multiple shades of green from my hostas, the deep purple alliums, or the bright orange day lilies! My dogs, when they know it’s spring and just lay on the back porch or on the lawn just soaking up the sun. Birds. Lots of birds. Robins, orioles, cardinals, blue jays, finches. Coming home from work, grabbing a beer and just wandering around the yard. Pulling a few weeds here and there. It’s my most stress free moment of the day. Having the grandkids come over and watching them love our yard and trees. They play on a long tire swing from a very mature tree, climb the apple trees, sit on a swinging bench, climb into one large tree with the ladder to play in the tree platform. Sitting on my front porch while it rains. Hearing people comment on how nice our yard is, even as they walk by. Just not having to leave my yard, I’m just ok to stay home.